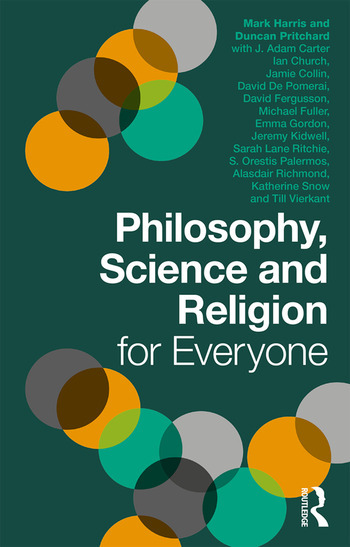 Philosophy, Science and Religion for Everyone brings together these great truth-seeking disciplines, and seeks to understand the ways in which they challenge and inform each other. • Foundational Issues – why should anyone care about the science-and-religion debate? How do scientific claims relate to the truth? Is evolution compatible with design? • Faith and Rationality – can faith ever be rational? Are theism and atheism totally opposed? Is God hidden or does God simply not exist? • Faith and Science - what provides a better explanation for the origin of the universe—science or religion? Faith and physics: can they be reconciled? Does contemporary neuroscience debunk religious belief? Creationism and evolutionary biology - what constitutes science and what constitutes pseudo-science? • Practical Implications – is fundamentalism just a problem for religious people? What are the ethical implications of the science-and-religion debate? Do logic and religion mix? This book is designed to be used in conjunction with the free ‘Philosophy, Science and Religion’ MOOC (massive open online course) created by the University of Edinburgh, and hosted by the Coursera platform (www.coursera.org). This book is also highly recommended for anyone looking for a concise overview of this fascinating discipline. Mark Harris, Duncan Pritchard, James Collin, David de Pomerai, Michael Fuller, David Fergusson, Emma Gordon, Sarah Lane Ritchie, S. Orestis Palermos, Alasdair Richmond, Katherine Snow and Till Vierkant all teach and research in Philosophy, Science, and Religion at the University of Edinburgh, UK. J. Adam Carter teaches Philosophy at the University of Glasgow, UK, and Ian Church teaches Philosophy at Hillsdale College, USA, while Jeremy Kidwell teaches theological ethics at the University of Birmingham, UK.